I got an e-mail from Full Tilt last night saying that they will re-launch November 6th. Image 1. 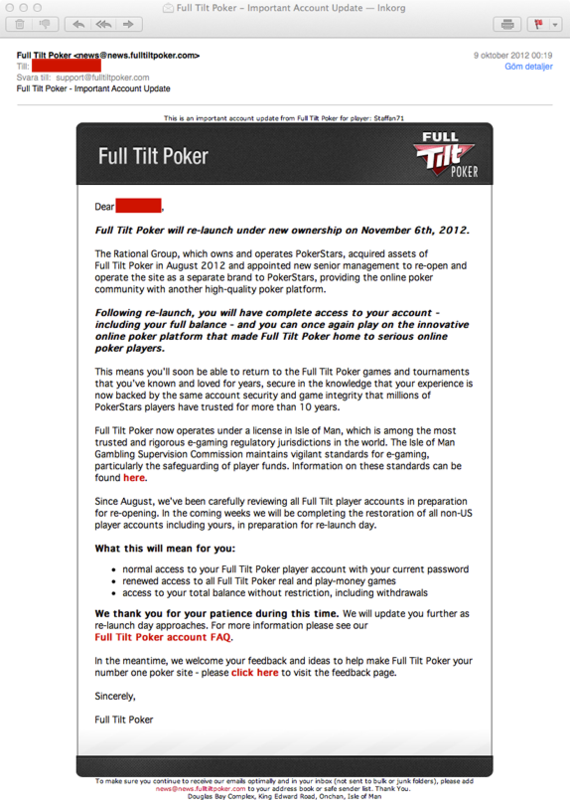 The e-mail from Full Tilt Poker. The Full Tilt Poker software was in my opinion among the best, if not the best out there.